An extensive PREVIEW is included, so check it out! 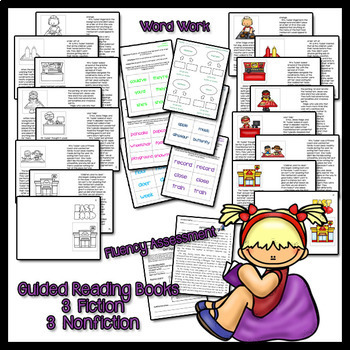 This product is designed to teach readers during guided reading to not only read, but look for text – based evidence while they answer questions. The books and questions are simple, yet develop essential skills. There are a variety of comprehension checks to provide a wide range of authentic assessment. Unfortunately, most of our students are forced to take standardized test... we do not ever want to teach to the test, but these passages and questions offer an AUTHENTIC venue for test prep! 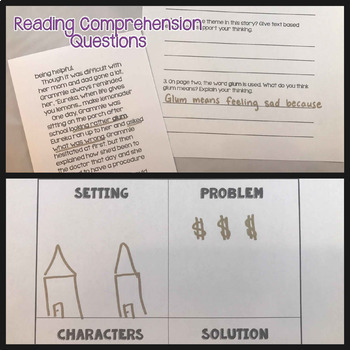 Note: This may be the first interaction a child has with comprehension questions, so take time to review how to answer questions. I teach my students to read the questions first so they know what to look for while they read. ELA.RL.3.1 Ask and answer questions to demonstrate understanding of a text, referring explicitly to the text as the basis for the answers. ELA.RL.3.4 Determine the meaning of words and phrases as they are used in a text, distinguishing literal from non-literal language. 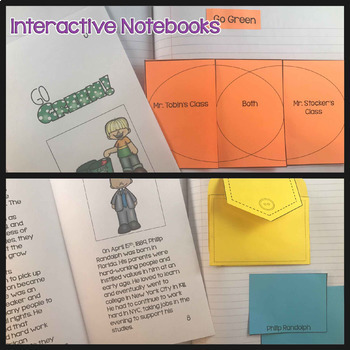 ELA.RL.3.9 Compare and contrast the themes, settings, and plots of stories written by the same author about the same or similar characters (e.g., in books from a series). ELA.RI.3.1 Ask and answer questions to demonstrate understanding of a text, referring explicitly to the text as the basis for the answers. ELA.RI.3.2 Determine the main idea of a text; recount the key details and explain how they support the main idea. ELA.RI.4.3 Explain events, procedures, ideas, or concepts in a historical, scientific, or technical text, including what happened and why, based on specific information in the text. ELA.RI.4.5 Describe the overall structure (e.g., chronology, comparison, cause/effect, problem/solution) of events, ideas, concepts, or information in a text or part of a text. ELA.RL.4.1 Refer to details and examples in a text when explaining what the text says explicitly and when drawing inferences from the text. ELA.RL.4.2 Determine a theme of a story, drama, or poem from details in the text; summarize the text. ELA.RL.5.2 Determine a theme of a story, drama, or poem from details in the text, including how characters in a story or drama respond to challenges or how the speaker in a poem reflects upon a topic; summarize the text. 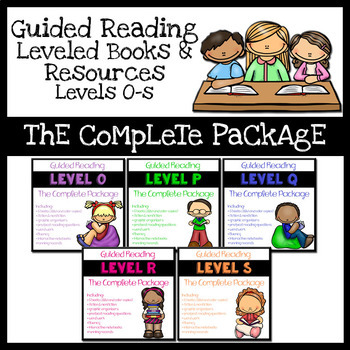 We hope these books & questions will be helpful to you in your guided reading groups! Also, a great resource to be sent home with parents.